Artificial intelligence and machine learning takes center stage at this year’s Robotics Summit & Expo 2019. 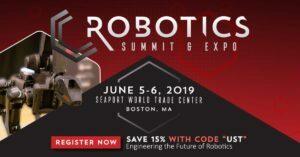 Taking place June 5-6 2019 at the Seaport World Trade Center, Boston, MA., this multifaceted international engineering event is for designers and developers of commercial robotics systems. WTWH Media has announced a series of keynotes and workshops dedicated to educating the robotics engineering community about the ways AI and machine learning technologies and techniques can be utilized by robotics systems to make them more intelligent, autonomous and functional. 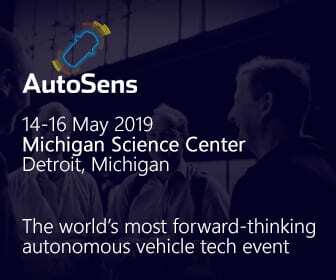 Topics include decision making, object identification, vision processing, autonomous navigation, motor control, sensor integration and other functions, as well as speech, facial and emotion recognition. The Summit and Expo brings together the brightest minds in robotics from around the world to share their commercial robotics development experiences and expertise. Tracks in the Robotics Summit include Technologies, Tools and Platforms; Design and Development; and Manufacturability, Production and Distribution. For additional details and registration information, click here.